Good morning polished world! Happy Sunday! I'm excited for today, if the weather doesn't go crazy, I'm going to my friends house to make cut out cookies, and then attempt to ice them with royal icing. You know, make adorable cookies like they have on Pinterest and Instagram. 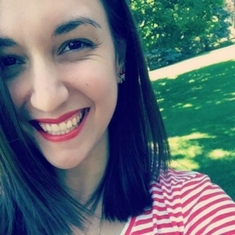 I'll document our journey on Instagram for everyone! 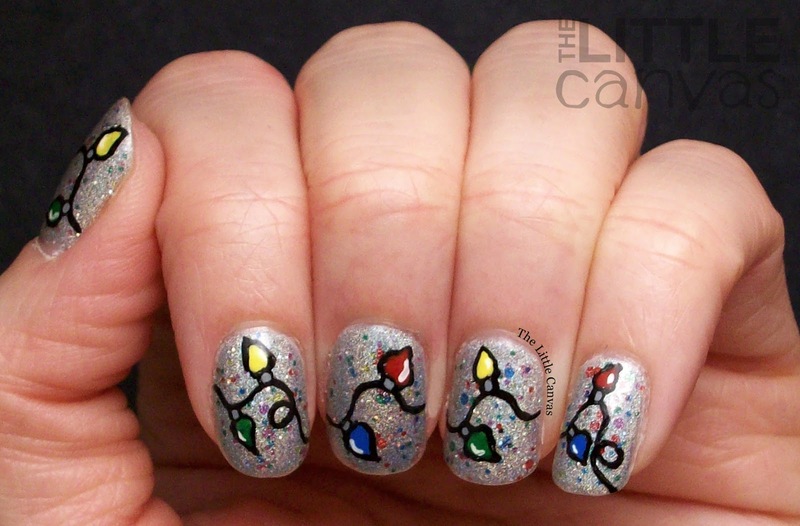 Today I'm bringing you yet another Christmas design. 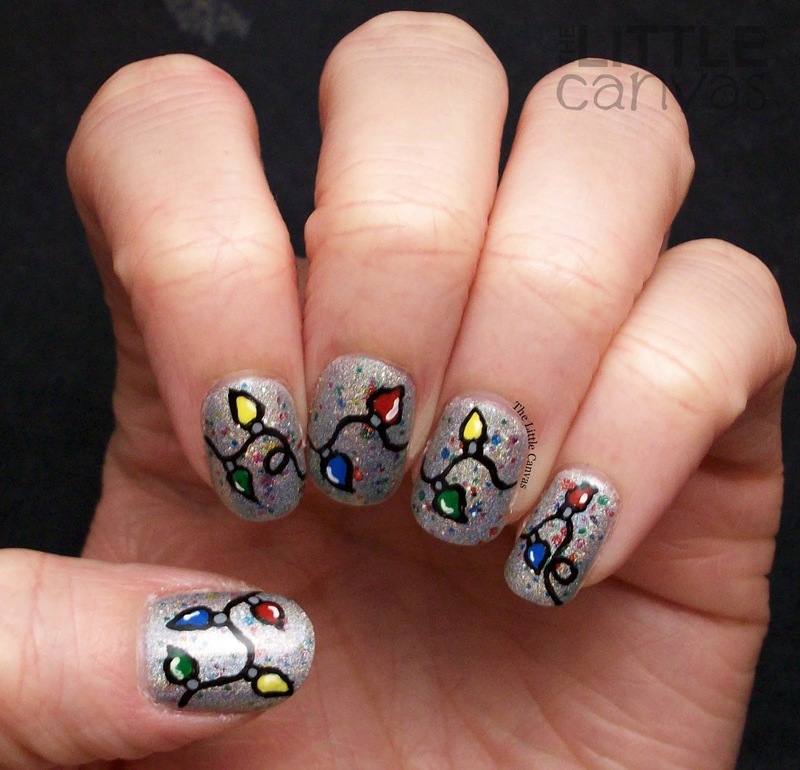 Every year I paint Christmas lights on my nails. 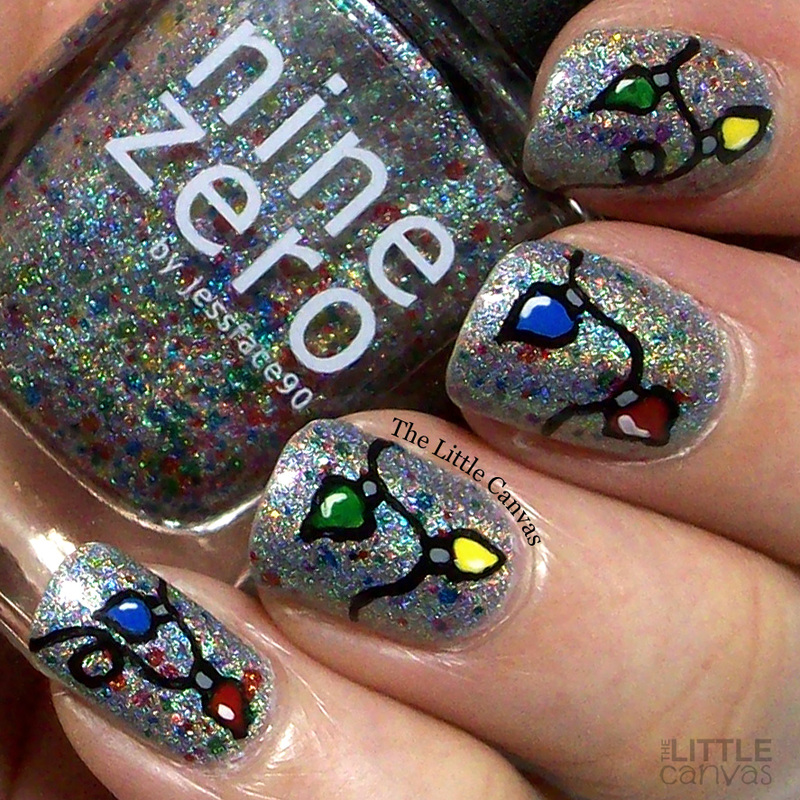 Last year I purchased a few polishes from the NineZero Lacquer holiday collection, including Twinkle Lights. So, this year I'm re-creating last years Christmas light manicure on top of Twinkle Lights. Twinkle Lights is a silver holographic polish with semi transparent rainbow glitter. 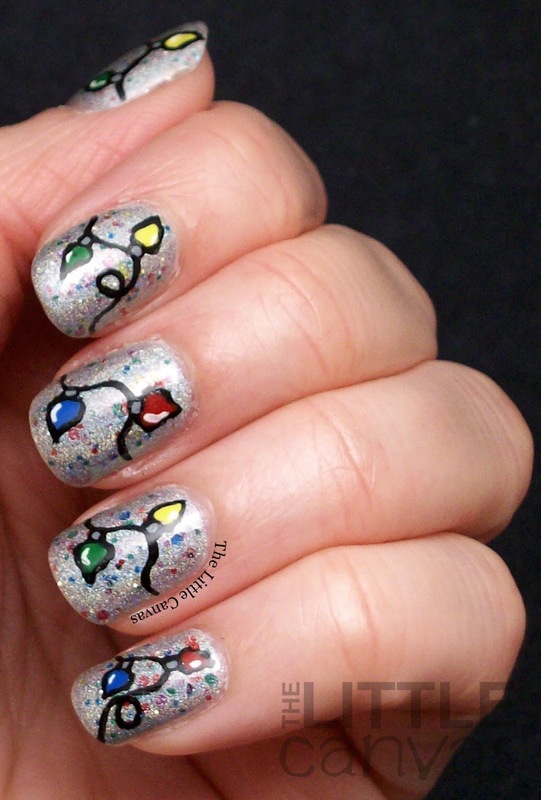 A perfect polish to resemble twinkly Christmas lights. Two coats and I had full coverage. The rainbow glitter disperses evenly on the nail. No need for dabbing or glitter placement. It's a true beauty. I love the holographic glittery base for this nail art. I debated on making my lights "twinkle" by adding some colored glitter on top, but I'm happy that I didn't. I think the cream art on top of the glitter makes the art really stand out. What do you think? Fan of this design? Do you own this NineZero?? If not, you should probably go buy it. Perfect for Christmas and year round!